7-Keto (100mg) 60c is available by Douglas Laboratories. 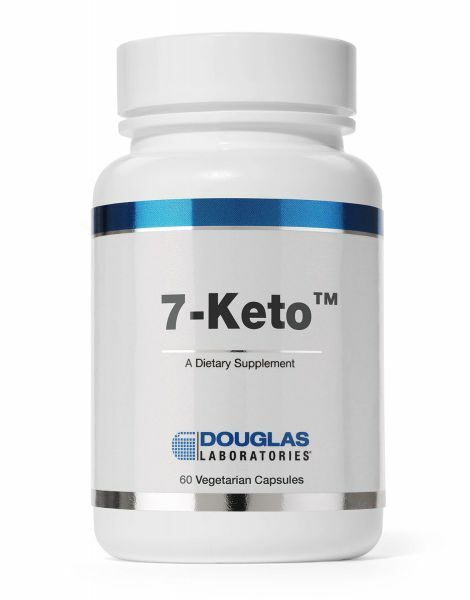 7-Keto™, provided by Douglas Laboratories, supplies 100 mg of 3-acetyl-7-oxo-dehydroepiandrosterone, (a naturally occurring metabolite of DHEA) in each capsule. 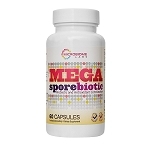 7-Keto may be a useful dietary supplement for individuals wishing to support a healthy weight management plan that includes an exercise program and healthful diet. The 7-Keto™ metabolite of DHEA is a natural, nonsteroidal molecule that is produced in the body from DHEA. This metabolite is chemically different from DHEA and cannot convert back into DHEA in the body. Studies indicate that 7-Keto may be useful in promoting weight loss without the use of stimulants while following an exercise program and healthful diet. As humans age, natural levels of 7-Keto begin to decline. Research in animals also shows that aging may have an effect on the body’s ability to maintain optimum thermogenesis (fat burning) activity. Recent research indicates that 7-Keto may play important roles in activating thermogenic enzymes and promoting weight loss. As humans age, natural levels of 7-Keto™ begin to decline. Research in animals also shows that aging may have an affect on the bodys ability to maintain optimum thermogenesis (fat burning) activity. Recent research indicates that 7-Keto may play important roles in activating thermogenic enzymes and promote fat burning in the body.